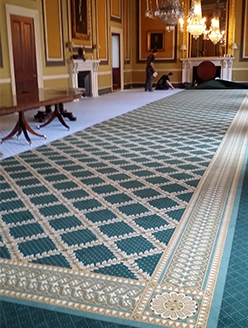 From hand crafted carpets and rugs to beautiful real wood flooring, custom made and fit to your precise specifications throughout London and the South East. 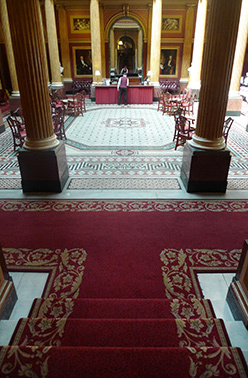 Working to specification with architects and interior designers, or providing our clients with direct design advice and support, we supply, install and bespoke craft a wide range of floor coverings for prestige hotels, clubs and private homes. 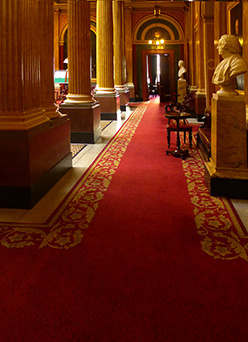 We also supply and fit carpets and flooring from all of the major suppliers and manufacturers including Brintons Carpets, Cavalier Carpets, Victoria Carpets, Gaskell Mackay Carpets and Alternative Flooring Company. We’ll work with you to find the ideal combination or aesthetics, practicality and cost, whether you want a bespoke showpiece floor with traditional finishes like hand stitched seams, or a functional installation for a specific purpose. Our team come to you to carry out a detailed survey, offer advice and supply an extensive range of samples for you to consider. We can source products at highly competitive prices thanks to a thirty year history of working with producers and we guarantee the most exceptional installation services and that perfect finish so essential in prestige hotels, and so desired in the home. Based in Kent our team travel across the UK and even Europe to supply and install our custom crafted products and services, with projects carried out daily in London and the Home Counties. Whatever your requirements for bespoke, hand crafted carpets and installations of real wood flooring to the highest quality standards contact us at Riverdale Interiors today and we can arrange a quotation with one of our expert team.